Owner & Customer Service Enthusiast! Welcome and thank you for taking the time to inquire about our company and rug, upholstery, water damage, and carpet cleaning services. 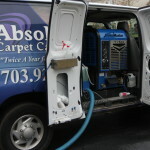 Absolute Carpet Care is a family owned and operated business that began in 1987. We’ve always believed in taking care of customers the way we want to be served. We know the importance of having you as a client for the long term; in fact, our business was built on referrals from our customers. We know that if we can “create” a “cheerleader” in you, you will pass our name along to your friends, family and neighbors. Our main office is located in Dulles, Virginia; however, we service most of the Washington, DC metropolitan area. Our office hours are 8:00 am to 5:00 pm, Monday through Friday. We do offer Saturday cleaning appointments and we are available 24 hours a day, 7 days a week for water and flood damage emergencies. We understand that plumbing and water damage problems occur at the most inconvenient times. Please call our main number and follow the instructions. When you call our main phone number, (703) 925-0022, the only time you receive an answering machine or voice mail is after hours. We understand how frustrating it is to call a service company only to reach a pager or answering service. We have customer service representatives ready to answer your questions, make a recommendation and/or schedule your appointment. There are several methods of cleaning carpets and rugs available and each has its advantages and disadvantages. We chose to provide the “Truck-Mounted” steam cleaning method, (also known as hot-water extraction). The reason we chose this particular method is because it is the only method that cleans deep down into the carpet fibers, “flushing” out unhealthy contaminants. The hot water extraction method is recommended by the world’s largest carpet manufacturers, in fact, some stain and wear warranties require your carpets be professionally steam cleaned on a regular basis. We also use optimal methods for cleaning upholstered furniture, tile and grout and more. If you would like more information about carpet cleaning methods call our free consumer awareness message at (703) 815-2048.